Nagarjuna and Nani starrer film Devadas is progressing briskly. If it goes in this speed the film will soon complete its shooting schedule. The makers have finalized the release date of the film. It will be coming to theatres on the 27th of September. Directed by Sriram Aditya, this film has Nagarjuna playing the role of a don and Nani plays the role of doctor. Vyjayanthi Movies is producing this film. Rashmika Mandanna and Aakanksha Singh are the heroines in this comic entertainer. Manisharma is composing the music and the background score. Nag plays the role of Dev and Nani plays Das in Devadas. Nagarjuna thinks he is getting younger! 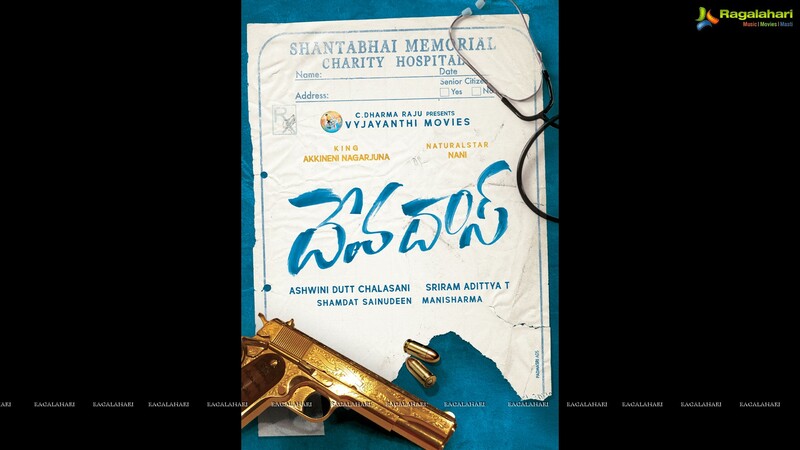 First Look of Nani-Nag starrer Devadas out!